Microsoft has been nothing if not voracious this year when it comes to acquiring promising young companies, and on Tuesday it snatched up yet another: Datazen Software, which focuses on mobile business intelligence. Datazen's technology will complement Microsoft's cloud-based Power BI business-analytics service with mobile BI capabilities that are designed for on-premises implementation and optimized for SQL Server, Kamal Hathi, Microsoft's partner director for cloud and enterprise, wrote in a blog post announcing the news. 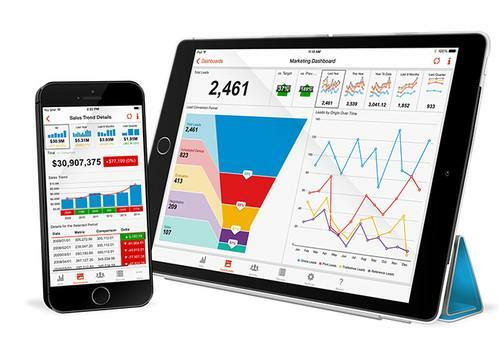 Born in 2002 as ComponentArt, Toronto-based Datazen provides business intelligence and data visualization on Windows, iOS and Android devices. It has enterprise customers around the globe, the company said. Over time, Microsoft plans to integrate Datazen's technology with its Power BI tools to give customers "another hybrid bridge for their on-premises investments to the cloud," Hathi said. Datazen's entire team will be joining Microsoft. Terms of the deal were not disclosed. Datazen brings two key additions to Microsoft's native BI capabilities, said Boris Evelson, a vice president and principal analyst with Forrester Research. First is a way to organize metrics, Evelson said. SQL Server is "great for organizing data, but there has to be a layer on top of it to organize metrics like customer profitability," he explained by email. Users also need an easy way to visualize metrics on a dashboard with various analysis paths, such as sorting, filtering, ranking and drilling. While PerformancePoint functionality from SharePoint provides for desktop devices, "Datazen improves the platform to organize and analyze metrics on mobile devices," he said. The second area in which Datazen enriches Power BI is with offline capabilities, Evelson noted. "As of the latest releases of Microsoft BI, there was no way to use it offline, as on an airplane without Wi-Fi," he said. "Datazen caches data and metrics on mobile devices and allows for offline/disconnected mode analysis."